The original Dungeons & Dragons game featured some activities that most players didn’t enjoy and eventually came to skip. I already wrote about mapping. Unless your group plays D&D in a deliberately old style, you don’t draft a player as a mapper who struggles to translate room dimensions to graph paper. Spells with punishing side-effects qualify as another nuisance that D&D players learned to skip. With some spells, players could simply avoid the side effects. The risk of instant death tends to limit teleportation to safe, familiar locations. And when Polymorph Other threatened system shock or a loss of individuality, party members never volunteered to fight in the form of a dragon. Sometimes, avoiding side effects meant avoiding the spells. I’ve never seen anyone cast Contact Higher Plane. Apparently, few players like risking their character to a random chance of insanity. Wish brought a mini-game where the dungeon master to tried grant the letter of the wish while perverting its spirit. Players countered by attempting to phrase their wishes to avoid any punishing interpretations. By third edition, players could skip the mini-game by selecting a wish from a menu of approved options. A few irresistible spells included punishing side effects that DMs often ignored. Haste aged its target a year, which forced a severe downside on humans, but an insignificant one on elves—and on humans in casual games without either bookkeeping or a reckoning of calendar years. Lighting bolts could hit a wall and double back on the caster. When players started treating bolts as billiard balls and demanded to hit every foe using a trick shot, I suspect many DMs gave up on the bounce-back rule. Worse than damage, Fireball destroyed treasure. “Besides causing damage to creatures, the Fireball ignites all combustible materials in the burst radius, and the heart of the Fireball will melt soft metals such as gold, copper, silver, etc. Items exposed to the spell’s effects must be rolled for to determine if they are affected.” Hitting PCs with collateral damage hurt enough, but players hated seeing treasure within their grasp destroyed. Few others saw the fun. Ernie Gygax found the lost treasure so bothersome that his wizard Tenser developed the spell Cone of Cold specifically to avoid the drawbacks of Fireball. Faced with Fireball’s volume calculations, with item saving throws interrupting the game, and with the protests of players, many DMs just ignored Fireball’s side effects. But without the gotchas, Haste, Lightning Bolt, and especially Fireball offered much more power. By Gary Gygax’s calculation, Cone of Cold—a replacement for Fireball without the punishing side effects—rated as a 5th-level spell. The 5th-edition rules rewrite Haste, Lightning Bolt, and Fireball without the downsides. Haste now requires concentration and just targets one creature, so it loses some of its old power. Wizards seldom prepare Lighting Bolt because Fireball overshadows it. But Fireball keeps all the punch of a 5th-level spell with none of the downsides of its 3rd-level origin. When wizards gain the ability to cast Fireball, they leap in power. Rather than dropping the power of the best spell available to 5th-level wizards, the designers of 5th edition gave every class some new ability that matches the Wizard’s leap in power. Fighters gain a second attack, Monks gain Stunning Strike, Rogues gain Uncanny Dodge, and so on. For more, see The obvious innovation in fifth-edition Dungeons & Dragons that no designer saw before. I suspect the designers boosted Hypnotic Pattern from a average 2nd-level spell to an powerful (and annoying) 3rd-level spell so Bards could match that leap in power. By the way, Cone of Cold isn’t the only spell made to avoid a part of D&D that players preferred to skip. Originally, some of D&D’s strategy came from the job of hauling coins out of the dungeon. Players hired bearers and bought mules to help. Still, no one found encumbrance fun or baggage trains heroic, and Gary must have noticed. He created Tenser’s Floating Disk on behalf of Ernie and every other player who wanted a painless way to recover every last copper from the dungeon. This entry was posted in D&D fifth edition, Role-playing game design, Role-playing game history and tagged encumbrance, Ernie Gygax, Gary Gygax, spells. Bookmark the permalink. Should be noted that Haste retains a drawback in 5th edition — when the spell ends, the recipient loses their next action. If a caster can ensure that this won’t happen before the end of the fight, it’s not such a drawback, but since Haste is also a concentration spell, if the DM can get the caster to fail a concentration check, the formerly Hasted PC will feel it. Because of this, I seldom see Haste used in 5e games; certainly nowhere near the frequency of my 3rd edition games. Currently playing a 1st edition game.. and I can tell you blow back and bouncing lightning do one thing… control how powerful spell casters can be. heck in 5e the fireball does more damage then any other spell its level.. its a no brainier…no restriction of where it can be used.. (unless the room is too small) as the spell confines itself to set area. I think the removal of the negative or side affects is a mistake. Magic should have its negatives and spell casters need to learn when a spell is apt or to dangerous to use. Otherwise a group of kolbolts who can be deadly in close quarters and numbers become nothing when faced by a fireball. Haste aging you is apt. An elf may careless but an elf also values his life and it’s experiences so they would feel the loss of a year emotionally . Humans may hold off because they should.. some of our best moments are when magic goes wrong. Who’s honestly wasting their precious 3rd level spell slot on a group of Kobolds? Anyone who plays with Tucker! I’m fairly certain that in a sage advice or someplace else that it was made clear that other races should age proportionately so an Elf might (I don’t recall the exact figure) spend 10 to 20 of his years to use a Haste (roughly 1/120th or 1/100th of a lifespan per use). I am that ok and remember calculating fireball volumes in sphere and converting it to the dungeon space and watching quarter miles blown out …. 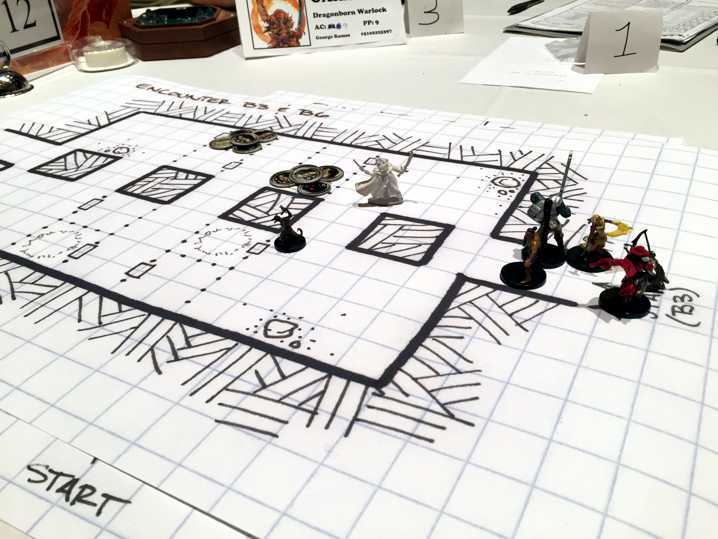 I recall a player casting fireball into a small cavern and the volume filled the cavern and gouted out the hallways in both directions, including catching the party entirely within its effect. After that, the mage took a proficiency in Spell Geometry (I forget the actual name of the proficiency) to help him pick the optimal deployment to avoid that again. He also watched for bigger caverns and higher ceilings and sometimes set the fireball off 10 feet up to limit the deformation at ground level. And lightning bolts reflecting made for some careful calculations as well. The fact that in the old days, both FB and LB would destroy treasure, start fires, and lightning bolt packed a whack of kinetic impact (could do in your armour pretty well), both were fearsome. I’m figuring out how to reintroduce side effects and logical consequences for all spells that liberate energy into an area based on the energy type. Necrotic might kill any nearby trees or plants or small animals, fire might ignite or flashburn items and living things, etc. I guess that some of the drawbacks need to be constrained because of the way enemies can use them. Haste aging you by a year is pretty awful for a PC because you want that PC to have a look g and fruitful adventuring career. Cast by an enemy wizard who’s allies lifespan is likely to be pretty short? Well why not? That brute is probably going to die anyway so there’s much less holding it back. I have to admit, these days I mostly play Pathfinder, and a lot of these drawbacks were things my parties had always seen as annoying bookkeeping. But the argument about Fireball – how the drawbacks are calculated into the spell’s power-level – actually makes me appreciate those drawbacks a lot more. I think after reading this I’m going to bring up with my group actually going through and using some of these drawbacks in our next game. Not for Haste though. In Pathfinder it’s benefits are already way less crazy-powerful than in 3rd, so ageing the person a year is a needless penalty that would now unbalance the spell. Even though D&D magic was heavily influenced by Dying Earth, in many ways it retains the idea that magic is bad and inherently chaotic / otherworldly. There are no good users of magic, just those who ally with civilization and those who do not. So these drawbacks do add a level of “price of power” to the game. What 5e has done (very well) is balance the character classes, but left the flavor of the game to the individual DM. Even the Warlock, which has a lot of potential flavor, is rather bland compared to classes of 1e and 2e. The game has become unexceptional in flavor and generic in tone to appeal to a broad audience, which is not meant as a criticism. I totally get why they did it. What you might consider is having a table for lost concentration with some “feedback” in the event of failing the roll. If you do this in a more traditional Sword n Sorcery setting, there is no need to balance this in other classes. In a more high fantasy or 5e friendly setting, you would need pitfalls for the fighting classes to keep it balanced. If you ever tried 2E’s Skills and Powers and Spells and Magic, you could build some really diverse characters with very different sorts of clerics (as one example) and if you used their spell point system and the rules for fatiguing magic (plus I also made each cleric spell list unique based on the God’s key portfolios), you tended to see very thematically appropriate casting from the clergy and both the clergy and the wizards got pretty tired up if they cast their top level spells, so they tended to cast spells 2-3 levels lower than their max except in extremis. The big spells were there, but fireball and lightning bolt didn’t become a regular fire-often spell until the mages hit L10-12 (equivalent results for clerics). That tended to keep Wizards and Clerics useful, but not dominant on the 2E battlefield (like they were with non-fatiguing magic after they passed 5th-7th level). Fighters fatigued from massive bursts of multiple attacks or a lot of charging, but it was a slower fatiguing than the mages and clerics faced, so the fighters were still pretty key. That plus the fact nailing an AC -5 or -8 heavily armoured fighter was much tougher than nailing the AC 2 wizard who also had about a third of the hit points, so there was a real necessary symbiosis: The fighters were the hard shell and tired slowly, the mages fired some support and occasionally a big gun, but then they needed a round or two to catch their breath so the fighters were pivotal. Of course, the party really hated Drow. They tended to drop into the middle of a party or attack from range and altitude going directly after the wizards and clerics. They kind of neutralized some of the fighter shell. They provided the most magnificent fights except for a medium sized dragon (with all their many wing, foot, tail, teeth, and claw attacks plus body slams and lift-and-drop tactics and breath weapons). Consequences make for rich, differentiated classes, dynamic battles where your choices about when to sustain those consequences in deploying the big spells really matters, and I recommend such consequences for any game. The NPCs had to live by the same casting limits so it wasn’t a game balance issue.